As we are approaching the Resurrection weekend, I am reminded once again about the time I had a vision where I found myself in the tomb, where Jesus’ dead body was laying. At first it was dark, then suddenly the glory of God, as beams of brilliant light, like lasers, entered the tomb consuming the darkness. The resurrection power of the Holy Spirit appeared along with many angels and Jesus’ body was resurrected from the dead. I saw Jesus removing the face cloth, which was placed on His face and around His head, and He ever so gently and lovingly folded it and placed it not with His burial cloth, but in a place by itself. Let me explain what I found out about the face cloth laying beside the burial clothes in the tomb. Honestly, up to the time of this encounter, I have read the four Gospels numerous times, but never caught the description of this incidence. In the book of John I finally found the answer! The Gospel of John (20:7) tells us that the cloth, which was placed over the face of Jesus, was not just thrown aside like the grave clothes. The Bible takes an entire verse to tell us that the napkin was wrapped together, and was in a place by itself.. When I had this vision and afterwards prayed for additional understanding, I realized, that just as the curtain separating the Holy of Holies in the Temple was rent in two from the top to the bottom during the death of Jesus Christ on the cross, so was the face cloth removed from the face of Jesus, giving entrance to have face to face encounters with Him. As we know, this curtain was too strong for anyone to tear it in two, especially from the top to the bottom. 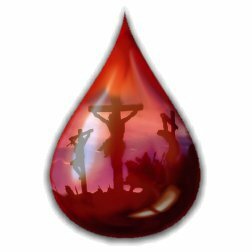 Therefore, it is a known fact, that it was done supernaturally to open the way through Jesus Christ and His precious blood into the Holy of Holies. Therefore, we can now come boldly to the Throne of Grace. We can enter the very presence of God as Revelations 4 says that the door is open and to come up. Jesus is the Door and He is not only the Way, the Resurrection and Life, but also made a way for us to enter the presence of the Father. In 2 Corinthians 3, we can read about the veil placed upon the minds or hearts of those who are under the law. vs. 16 Nevertheless, when one turns to the Lord, the veil is lifted or taken away. I witnessed His resurrection and will never forget the impact this had on my walk with Him. The intentional removal and folding of the face cloth signifies the face to face encounters we can have with Jesus through His sacrifice and through those intimate times with Him, a mighty transformation occurs within us and we are changed from glory to glory. It is breath-taking and warms my heart to be able to see into His eyes and to smell His fragrance, as I am so very close to Him. Not only can I enjoy Jesus, but He also made the way for me to come to the Father. I can see the knowledge of the glory of God in the face of Jesus Christ! “We all, with unveiled face, beholding as in a mirror the glory of the Lord, are being transformed into the same image from glory to glory, just as by the Spirit of the Lord. (see 2 Corinthians 3:18). It is absolutely vital to realize that Jesus was not only crucified, buried and resurrected but that He also ascended into heaven. Jesus Christ was not dead, it was only His physical body that died. Could it be true, that while His body laid in the tomb, He retrieved the keys of death and Hades? “I am the Living One; I was dead, and behold I am alive for ever and ever! And I hold the keys of death and Hades” (Revelation 1:18 NIV). The disciples were filled with joy and with the Holy Spirit! Spend some time thanking the Lord and asking to be filled with His love and His Spirit. Ephesians 5:18 says …be ever filled with the Holy Spirit. Drink deep from His springs and allow His love to overwhelm you and live and minister out of the overflow…..